The 22-mile Marvin Braud Bike Trail is one of LA’s most popular and iconic features. 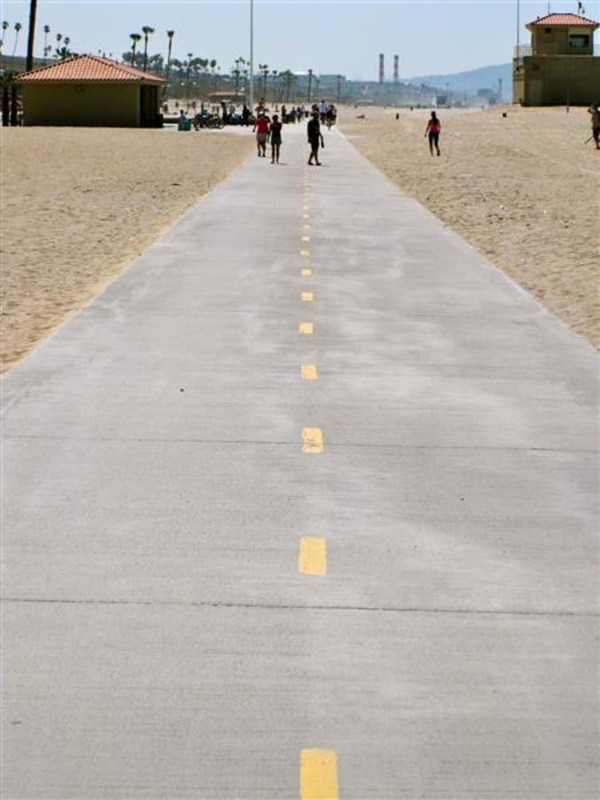 Also known as the Strand, this route's northernmost access point starts at Will Rogers State Beach near the Palisades, and the southernmost access is near Torrance County Beach. 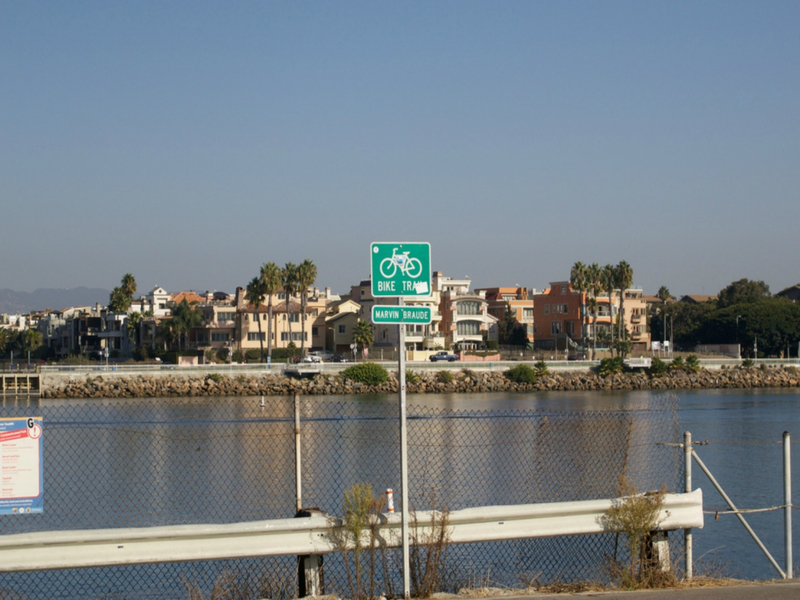 The paved trail usually allows riders to cruise slowly through crowds as they make their way through many of the LA area beach towns, such as Santa Monica, Venice, Marina del Rey, Manhattan, Hermosa, and Redondo. If desired though, riders can pick up their speed and cruise along readily available open stretches of the path. With the Santa Monica Mountains to the North, the Pacific Ocean to the West and the city to the East, there is always a beautiful and relaxing view to admire, while riding on the Marvin Braude Bike Trail. This is one of LA's best bike trails, it's good for all levels of riders. The path can get crowded though, so be aware it's not the best place for an all out spring on your bike. The starting point for this route is Will Rodgers State Beach, located at 17000 Pacific Coast Hwy, Pacific Palisades, CA 90272. Written by Taylor Reilly for RootsRated.